TZM alloy is a popular molybdenum-based alloy containing ±0.08% zirconium, ±0.5% titanium, ±0.03% carbon and molybdenum makes up the balance. TZM is short for Titanium zirconium molybdenum alloy. The strength of TZM is two times that of pure Molybdenum when the temperature reaches 1300 degrees Celsius. By combining small amounts of Ti and Zi, TZM moly alloy gains a high recrystallization temperature and consequently yields a higher strength in high temperature. The optimal doping percentages are 0.4 – 0.6% of Titanium, 0.07- 0.12% of zirconium and 0.01-0.04% of carbon. TZM alloy is an attractive material for uses in the high strength, high temperature and vacuum reliant industries such as aerospace, electronics, and thermal treatment. Molybdenum TZM alloy ideally serves these industries especially when a working temperature range needs to be between 700 and 1400°C. For example, high temperature TZM is a popular molybdenum-based alloy utilized in the furnace and in heat-treating structural components such as shielding and supporting parts. This is because it has a high creep resistance. What is more, TZM molybdenum alloy is extremely suitable to make high temperature and high strength TZM moly forging dies for isothermal forging, non-ferrous and ferrous metals casting and Molybdenum TZM piercing plugs. In addition, TZM alloy is an excellent choice as a weldable and high-recrystallization temperature material used to produce Molybdenum TZM rocket nozzle and TZM hot gas valve for the aerospace application. TZM alloy possesses a variety of valuable properties, such as high strength, creep resistance, hardness, and low vapor pressure in high temperature environments. Additionally, it has a low coefficient of expansion, excellent resistance to heat and corrosion and good machinability. Compared with the pure molybdenum, TZM alloy has a more stable crystalline structure and a higher recrystallization temperature. This is due to the small amount of zirconium and titanium doped into the molybdenum substrate. In addition, the composite carbides Mo2C, TiC and ZrC with the extremely fine size refine and restrain the crystalline grain of molybdenum and consequently helps Molybdenum TZM material become more weldable and creep resistant than pure molybdenum. 2623 °C Elongation 15% in 1.0″. 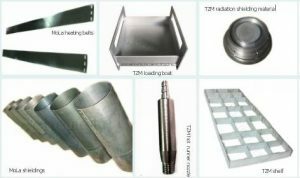 The two typical methods of manufacturing TZM Molybdenum are either powder metallurgy or vacuum arc-casting processes, following which occurs a series of drawing, forging, rolling and other deformations. The working temperature of the deformations needs either below 1300℃ or above 1650℃ in order to avoid being affected by hot brittleness. CHEMETAL USA is dedicated to researching and developing qualified TZM alloy products. 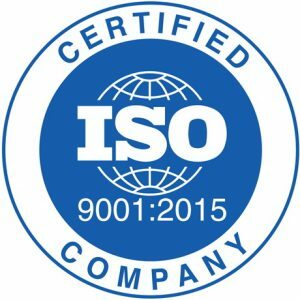 As an ISO certified TZM molybdenum products manufacturer, CHEMETAL USA is capable of offering various types of TZM molybdenum rods and sheets that all meet a consistently high standard that conforms to ASTM B386 Type 364 and ASTM B387 Type 364. We have the capacity to provide a fast lead time and handle large-volume contracts. Request a quote or contact us today by checking our CONTACT US page.